Home / Electronics Articles / What are the properties of semiconductor? The conductivity of a semiconductor is less than that of a conductor but more than that of an insulator. 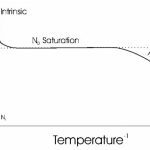 Semiconductor have negative temperature coefficient of resistance i.e. the resistance of a semiconductor decreases with the increase in temperature and vice versa. 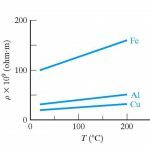 This is because the number of charge carries in a semiconductor are less at low temperature, but highly dependent upon at high temperature. For example, germanium, silicon etc. 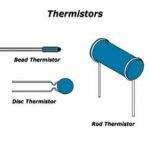 are actually insulators at low temperature, but they act as good conductors at room temperature. When some suitable impurity element is added to a semiconductor, its current conducting properties change appreciably i.e. increases considerably. The forbidden energy gap in semiconductors is about 1 eV. The conduction band is partially filled at room temperature. The valence band is partially filled at room temperature.